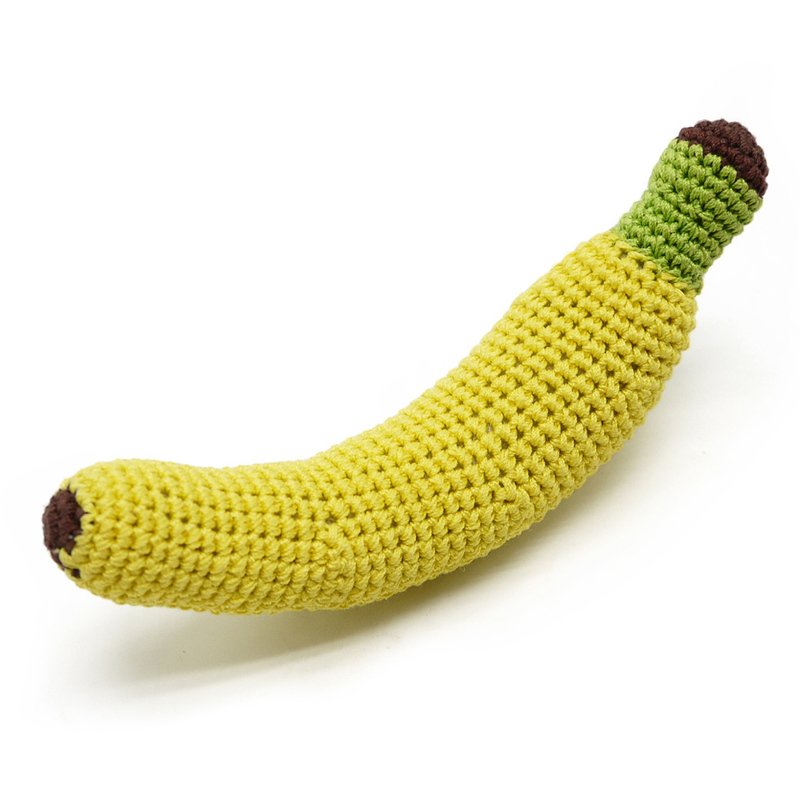 Banana designed dog crochet toy. Handmade interlace cotton thread, designed to be flexible, durable, and improves dental health by removing deposits of calculus. 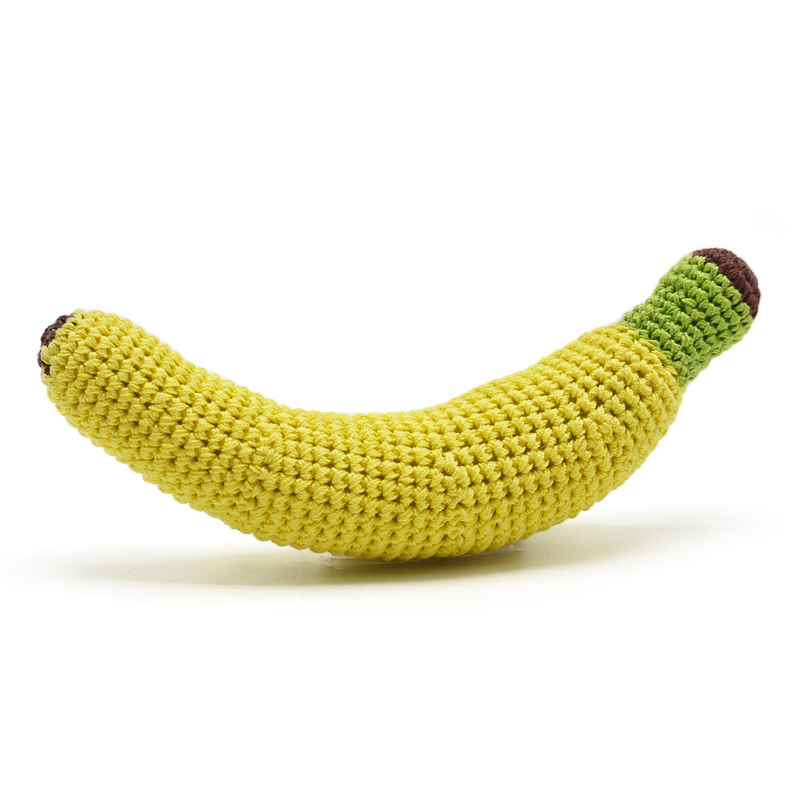 Add all that with a squeaky inside means hours of fun!